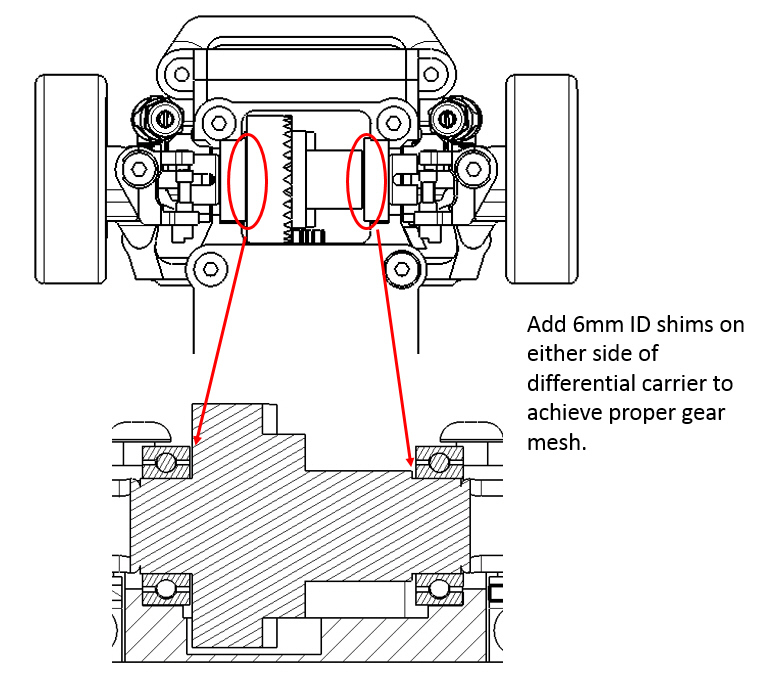 Just like the full scale car, the differential gear mesh adjustment is very important. If is wrong, gears will make a lot of noise and not last very long. 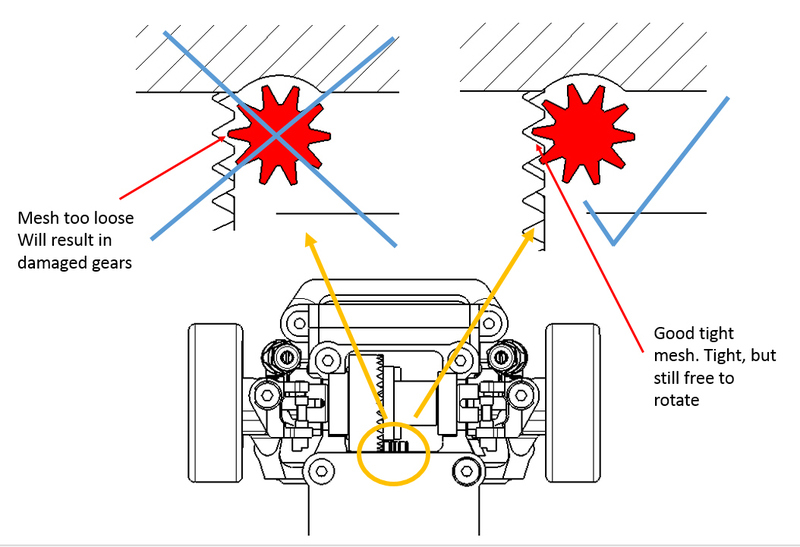 The Mini-Z AWD has two differential carriers in front and back. They come from the factory loosely adjusted. If you run the car stock, it will run great for a while, but will soon give you problems even with stock motors. The main problem is the pinion to ring gear mesh adjustment. In the stock configuration, there usually is too much freeplay, and the gears are just running on the tips. After a while you will hear cracking sound as you accelerate. That is very bad for the gears. Don't waste away the drivetrain. Adjust the differential mesh as soon as you get the AWD or Buggy. Invest the time now or fix it latter and have to buy new parts. If the gear mesh is properly adjusted, the AWD will be as quiet and as smooth as 2WD. Actual adjustment only takes five minutes, but taking apart the car may take anywhere from 15-40 minutes depending on how fast you can work. Strip the car down far enough to remove the differential. Place shims on both sides of the differential until there is minimal freeplay between the bearings and the chassis. Make sure the bearings are not shimmed too tight. There should be minimal freeplay, but loose enough for the bearings to spin freely. Swap shims from one side to the other until there is minimal amount of freeplay between the pinion gear and the differential ring gear. Be sure the drivetrain still spins freely.